"Privacy" is a bit of an Internet buzzword nowadays as the business model of the Internet has now shifted towards data collection. The 14-page-long complaint filed Monday morning by the Centre for Democracy and Technology (CDT), a US non-profit advocacy group for digital rights, accused Hotspot Shield of allegedly tracking, intercepting and collecting its customers' data. 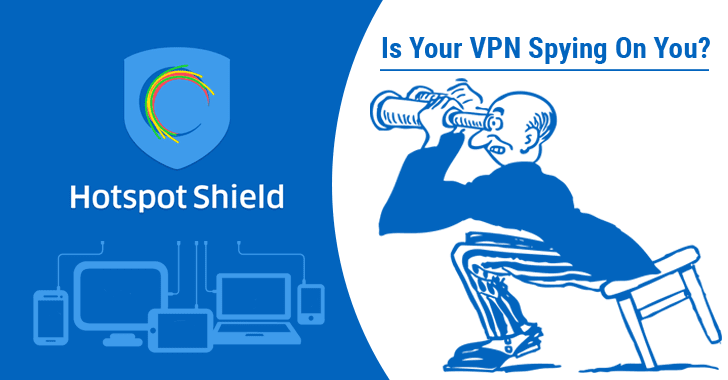 The Hotspot Shield VPN app promises to "secure all online activities," hide users' IP addresses and their identities, protect them from tracking, and keep no connections logs while protecting its user’s internet traffic using an encrypted channel. However, according to research conducted by the CDT along with Carnegie Mellon University, the Hotspot Shield app fails to live up to all promises and instead logs connections, monitors users' browsing habits, and redirects online traffic and sells customer data to advertisers. "It is thusly unfair for Hotspot Shield to present itself as a 48 mechanism for protecting the privacy and security of consumer information while profiting off of that information by collecting and sharing access to it with undisclosed third parties," the CDT complaint reads. "Consumers who employ Hotspot Shield VPN do so to protect their privacy, and Hotspot Shield’s use of aggressive logging practices and third-party partnerships harm its consumers' declared privacy interests." The CDT also claims that the VPN service sometimes "redirects e-commerce traffic to partnering domains." "For example, when a user connects through the VPN to access specific commercial web domains, including major online retailers like www.target.com and www.macys.com,the application can intercept and redirect HTTP requests to partner websites that include online advertising companies," the complaint reads. The CDT wants the FTC to start an investigation into what the Hotspot Shield's "unfair and deceptive trade practices" and to order the company to stop mispresenting privacy and security promises while marketing its app.